I began my career as a civil litigator in Los Angeles at the boutique real estate firm of Cox Castle & Nicholson LLP, where I had worked as a summer associate. Later, my husband’s job moved us to San Diego, where I worked at Procopio Cory Hargreaves & Savitch LLP. Next, I took some time off to be with my kids and also worked part-time as in-house counsel to a small business. I returned to the law firm world in 2009 and worked in the government contracts department at McKenna Long & Aldridge LLP. I have been an assistant director at the Career Services Office of the University of San Diego School of Law since July of 2011. I am on the Board of MAMAS (Mother Attorneys Mentoring Attorneys of San Diego). 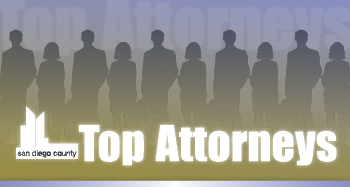 I am a member of the North County Bar Association and frequently attend Lawyers Club and SDCBA events. I actively volunteer at my third-grade daughter’s school and am currently participating in running her Brownie troop on a co-op basis (each parent is responsible for a badge and a meeting). I live in northern San Diego with my husband of 15 years, Jesse Remer, and my two adorable little girls, Mia (8) and Livia (5).